All internal organs are keyed. 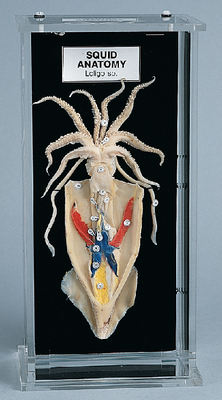 The mount displays the total anatomy of a triple-injected specimen details 21 structures. Gills, hearts, reproductive and digestive systems are labeled.